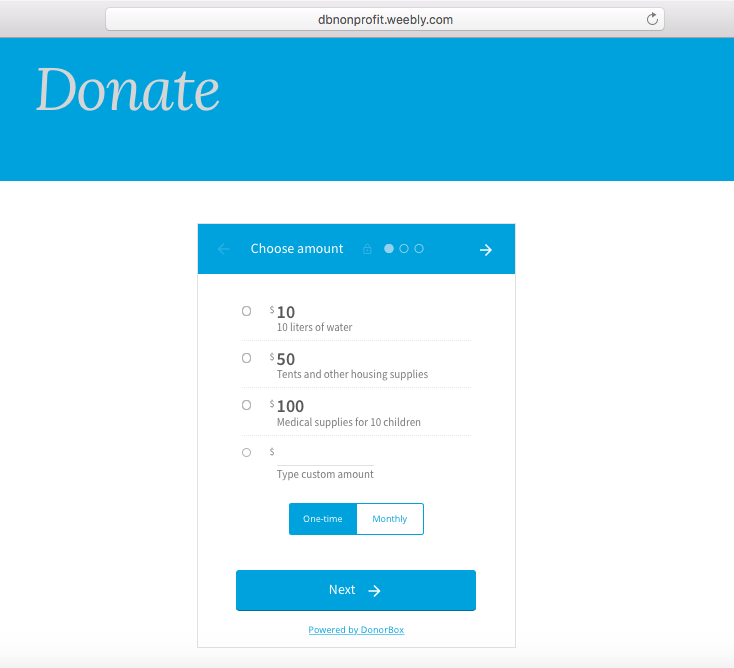 We’ve partnered up with Weebly, a premiere website builder, to make it easier for you to embed donation forms onto your website or blog. Embedding donations forms directly onto your site will make it easier for donors to give donations and easier for you to receive donations. You also have the option to install a donate button instead. This button will show on your web page. When a donor clicks it, your Donorbox donation form will deploy. You can check out this helpful guide for more info on that. 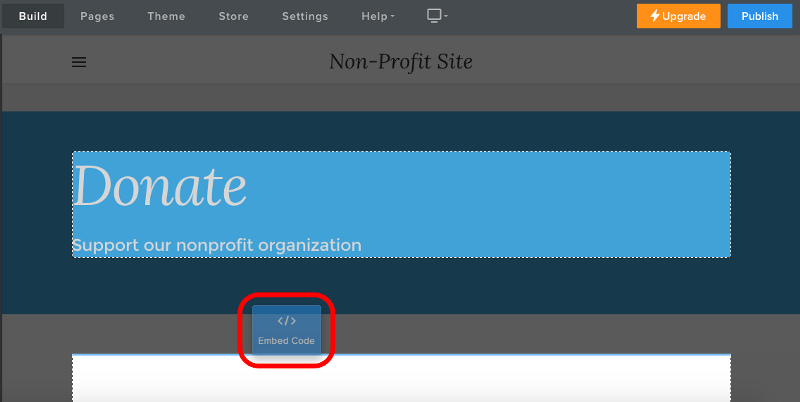 This guide will help you through the entire process of embedding donations forms on a Weebly site. 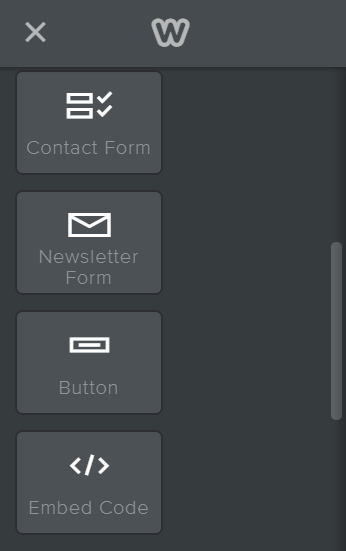 When you’re happy with the settings, highlight and copy the embed code for your form. This code will be pasted in your Weebly site later on. 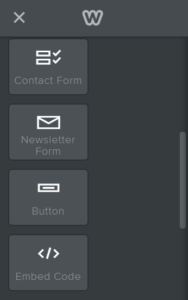 Go to your Weebly site editor (http://www.weebly.com/editor/main.php) and scroll down the “Basic” sidebar on the left to find the “Embed Code” widget. Click the button marked “Edit Custom HTML”. 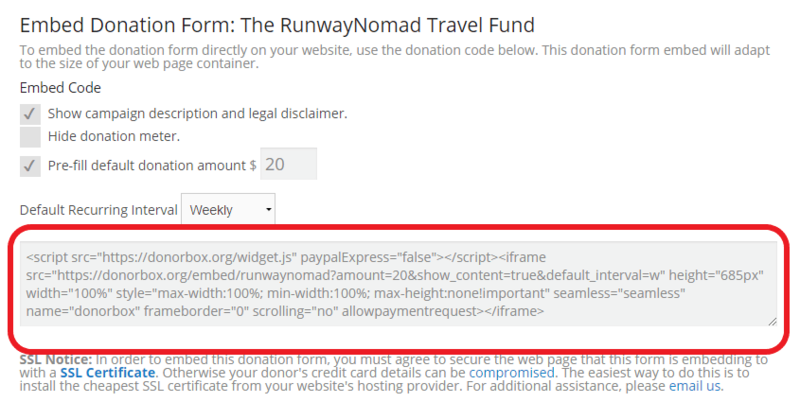 Then, paste the Donorbox form embed code that you copied earlier from your Donorbox dashboard. Publish your updated website and wait for the donations to come in! Weebly now supports SSL on all its sites. Here’s a simple step-by-step guide to turn on SSL on your Weebly site.